Each model is equipped with "push button" engaged 4WD and differential lock. The rear PTO is also easily engaged with the simple push of a button. The climate-controlled cab keeps the operator comfortable in all working environments. The ergonomic and fully adjustable suspension seat allows the operator to ride comfortably. 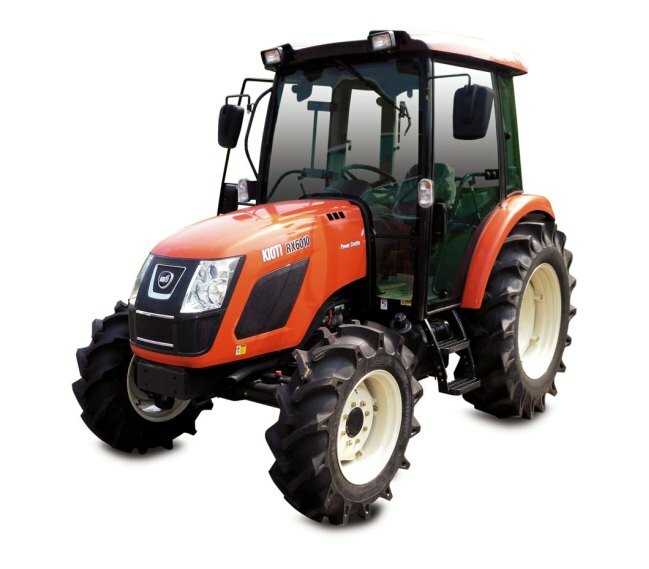 The hood design improves the operator's visibility and allows for convenient access for maintenance of the tractor. The 59 HP Daedong turbo engine offers the power you need to complete your jobs. All RX series models are equipped with wet disc brakes, an adjustable seatbelt, headlights, safety lights and hydrostatic power steering.